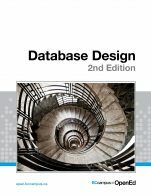 Database Design - 2nd Edition covers database systems and database design concepts. New to this edition are SQL info, additional examples, key terms, and review exercises at the end of each chapter. Spiral Stairs In Milano old building downtown (http://www.flickr.com/photos/micurs/3498339723/in/photostream/) by Michele Ursino (http://www.flickr.com/photos/micurs/) is used under a CC BY-SA 2.0 Generic Licence (http://creativecommons.org/licenses/by-sa/2.0/deed.en_CA). Database Design - 2nd Edition by Adrienne Watt, Douglas College, Nelson Eng, Douglas College is licensed under a Creative Commons Attribution 4.0 International License, except where otherwise noted. The textbook does not cover all the material one would need to address in an academic course covering the topic of Database Design – in spite of a detailed chapter list in the table of content. Most chapters contain superficial, non-descriptive, point form lists with incomplete or inadequate substantive information. sometime not related to the chapter’s topic). formalism as well as inaccurate information. For example GEAC (a defunct company since 2006) is referenced ?! and irrelevant in the present Internet-based development environment. than one page in length. without proper transition or idea flow. Relevance is inadequate, presenting some outdated topics in name only. could form the majority of the reading audience. 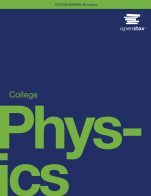 adequate but lacks formality – an essential element in computer science. always relating to the chapter’s content. Lack of formal rigour is present throughout the book. misleading because chapter content is minimal (one to three pages on average) – except when covering SQL in Chapter 16 - (which requires more scrutiny and depth). The format of the pdf file is inconsistent – with pages containing poor picture resolution, and low readability making navigation awkward. Some inconsistencies appear in various chapters. The terminology is adequate but lacks formality – an essential element in computer science. The text consists mostly of short chapters with some exercises not always relating to the chapter’s content. Of course, this results in a reference book inadequate for teaching in a higher education environment. Because the vast majority of the text consists in short chapter, these are easily identifiable. However, the relation between the table of content and the text is misleading because chapter content is minimal (one to three pages on average) – except when covering SQL in Chapter 16 - (which requires more scrutiny and depth). picture resolution, and low readability making navigation awkward. including punctuations weaknesses not acceptable in an academic textbook. This textbook is obviously a work in progress. The list of 16 chapters in the table of content is misleading. point-form statements, with little or no substance. Definitions of most technical terms are inadequate, incomplete or missing. 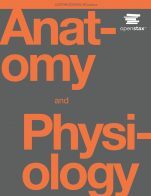 Exercises are poorly related to the content of the chapter’s topic. , and is mostly related to a limited source like Database System Concepts by Nguyen Kim Anh licensed under Creative Commons Attribution License 3.0 license [mostly a verbatim copy]. finding information or references in a quick and straightforward, manner. The concepts underlying the database design process are clearly defined and explained. Each chapter has a list of key terms from the chapter which indeed act as glossary. The diagrams and the supplementary material such as screen caps/ queries with syntax and examples are clearly provided so the learners can try it out for themselves and check the results. The content is completely un-biased. The text is written and/or arranged in such a way that necessary updates will be relatively easy and straightforward to implement. There is a noticeable variation between the syntax for SQL statements in general and SQL Server 2012 Database Engine edition syntax. Having said that, transition to the latest edition of the SQL Server 2012 program is not an issue of concern. The text in each chapter is not too lengthy so that the reader gets distracted. At the same time, it is not too short where the learner does not get enough information for that topic. Well written. The language used in the textbook is quite simple and straightforward for the learner to relate to the terminology used in the industry practices. Having said that, I must mention that the section on Joins (pages 107 – 109) needs a bit more clarification in simple terms. Totally agree that the text is internally consistent in terms of terminology and framework. Well looked into the background of each and every topic, definition and supported by examples and diagrams, right from the beginning to the end. The textbook is very organized with the content matter. The topics are broken down into modules with increasing complexity. The entire Database design process is introduced in a modular basis making it easier for the students to see what the entire process from the start to the end. The content in the text book is well organized in a manner where the topics are introduced and arranged from lower to higher complexity. The structure and flow of the matter is managed very well. There is a minor alignment issues of the text in terms of margins and page layout from one page to another, but totally rectifiable. The pictures, diagrams and tables in the book are well organized, in a clear and simple manner making it easy for the learner to comprehend the subject matter. The text contains no grammatical errors. If there are any minor errors whatsoever, they are not hindering factor to the learner's learning experience. So, not a big issue. The content, examples, and pictures in the book does not seem offensive for any given learner community’s cultural background or ethnicity. This book is a very useful resource for the general audience. Not just for students, this book can be used by industry professionals as a quick reference or a part of the training manual for those who are considering to get involved in the Database Design and implementation process for their organization. The implementation section of the book can be updated, if possible. 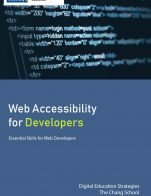 Overall, the book is a good resource for use in the classrooms and for Information Systems design and development teams. This book can be used for the First year courses where Database Design process in introduced. It is also suitable for the Second year students with additional topics on the implementation. Having said that, I feel that it was a well thought out idea to use it teach the second year students. The book covers most areas that are usually covered in introductory database courses. The book does not provide an index at the end of the book, but it has a good glossary at the end of each chapter. The book strives to provide accurate content, however, there are still points that need to be revised. For example, the chapter on functional dependencies (Chapter 11) needs a major revise. For example, the definition of functional dependencies is not accurate. The book defines “A functional dependency (FD) is a relationship between two attributes…”, whereas, a functional dependency is a relationship between two sets of attributes. The examples of the book on this matter contradict the definition provided by the book (example1: SIN -> Name, Address, Birthdate) (example2: SIN, Course —> DateCompleted). These two examples of the book imply that FD is between two sets of attributes not between two attributes. The section Inference Rules in Chapter 11 needs a major review and correction. The example given on Axiom of reflexivity is wrong (i.e., PartNo -> NT123, is wrong). NT123 is not a subset of attribute PartNo. In fact, the axiom says that a set can determine its own subset. For example, XYZ -> YZ or XYZ->XZ, and so on. The definition of the augmentation axiom is also inaccurate. It is mixed up with 2NF. There are some typos and errors in the text (The list of typos provide in point 9). For example, page 28, the last line, the question mark is a typo and it must be an equal sign. Yes, the content is up-to-date and any necessary update is relatively easy to implement. Yes, The book does a good job on the definition of terminology. Yes, the book has a good organization/structure. However, some chapters are very short (Chapter1: 4 pages, Chapter2: 3 pages… ). I think the authors did not merge short chapters to a bigger chapter, perhaps for later development of the chapters. In that regard, keeping the current length of chapters is a good decision. The flow of topics is as it must be and most of the database books follow the same logical order. There are some jagged red or green lines on some figures, images or formulas (e.g. Table 7.2, column EMPLNAME), and it may confuse students. These jagged lines have remained on the images of the book due to spelling check in MS Word. The images on the PDF version of the book are clickable that seems unnecessary and distracting. Unless for Search Engine Optimization of book content or other reasons that I am not aware of. Some images are not clear enough. For example, figure 8.10. 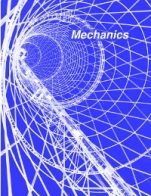 Since the book is a computer science technical book, these concerns do not apply to it. However, the authors selected good examples and none of them violates these concerns. Because the book is free and covers most of the topics for an introductory course on Database Systems, it can be a good resource to students. However, the book needs a review and update. especially point 2 (Content Accuracy) needs to be revised.